→Should You Exercise Sore Muscles? Should You Exercise Sore Muscles? If you are someone who exercises regularly, you know that feeling the day after an intense workout where your muscles ache so bad you can barely get out of bed. So it is easy to ask the question, should you exercise when you are sore? Well if you are new to working out, that feeling of being sore is known as DOMS (delayed onset muscle soreness), and it is basically your muscles repairing itself after being torn down from a workout. Making your body even stronger for the next workout. As easy as it may be to let soreness stop you from making it to your workout the following day, rarely is it ever a good excuse to skip the gym. Understanding how to get through your workouts despite the soreness you feel is something I will try to help guide you through. 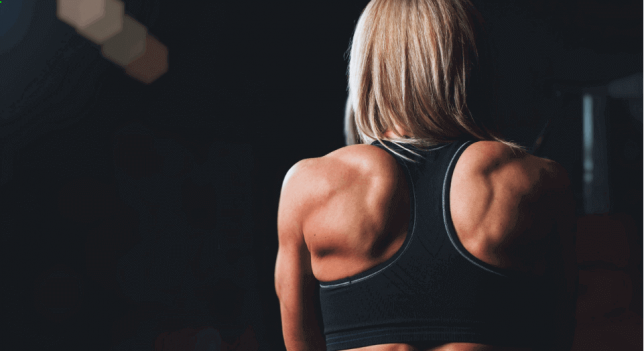 Going through the normal soreness after a workout is one thing, but if you are suffering from a pain that doesn’t seem to get any better, then you might want to pay attention to what you body is telling you. Especially if you are person who is just started working out, it can be difficult to recognize what is soreness and what is actual pain that can lead to injury. So make sure to listen to your body and be aware of any long lasting pain. It is important to understand that soreness is caused by muscles microtearing which helps rebuild your muscle fibers to make them stronger. This is the natural process of the body reforming itself to help make a stronger YOU. So don’t be afraid to embrace the pain of soreness and take it as a sign of you getting better and stronger for your next workout. If you feel your body is really sore, then don’t be afraid to take it easy on your next workout. Bring down the intensity and lower the amount of reps you do whether it is body weight or free weights. Also, If it is your upper body that is sore, then do a workout that involves the lower body. Sometimes working out can help speed up the time of your muscle recovery. Make sure to have 10-20 grams of protein before and after an intense workout as it helps lessen the time it takes for your muscles to heal. Amino Acids are the building blocks when it comes to gaining muscle and they are found it protein. So if you want to build muscle, then making sure you are fueling your body with protein is a great way to do it. 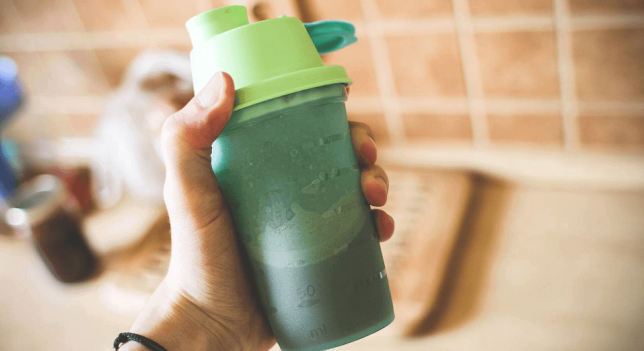 You would be amazed at how protein can aid in decreasing muscle soreness. Try stretching as much as you can after a workout. Muscles can sometimes get tight after a strenuous workout so making sure they are nice and loose after a workout can help speed up recovery time. Also be careful when it comes to stretching out cold muscles as you can risk injuring it further. Try using some active stretching techniques as opposed to static stretching when the body is cold. Making sure to stretch before going to bed and right after waking up can help with blood circulation which can speed up recovery time. If you are really sore, and are a daring person, try an ice bath. There’s a reason why you see athletes jumping into a tub full of ice after a game. As we know, ice is applied when there is inflammation in the body. By applying ice to your body after a workout, your blood vessels will contract helping restrict inflammation. As the body warms back up, circulation of the blood helps repair the muscles faster. So if you think you can handle hopping in a tube full of ice, then go for it. I’m sure you body will thank you later. Know that the reason your body is sore is because you are putting it through something it is not yet used to. As you continue on with you exercise on a week to week basis, you will find that you do not get as sore as you used to. Some people like to measure their workouts by how sore they are. Being sore after every workout is not something you want as it can inhibit your workout. Measure your fitness goals by how many miles you are able to run or by the amount of weight you are now able to lift. If your endurance is increasing or you notice you are getting stronger, these are signs that you are making strides to better health. So stay consistent and keep finding motivation with every goal that you set for yourself and the results will follow. So please share below how you prepare for a workout when you are feeling sore. Yeah, I hear you. I still workout when I’m sore. But like you said, it depends on what it feels like. Typical workout soreness is no reason to skip a workout. Usually after a good warm up, I don’t feel anything….it goes away. If the pain is borderline sharp, instead of just dull soreness, I back off and reassess. Hey Dave! Making sure you identify the pain is important to understanding what kind of soreness you are feeling. Now that I’m in my forties I’m learning I really have to pay attention to what my body is says. I’ve become really cautious if I start feeling aches and pains. But I definitely want to stay on track at the gym too. How do you feel about taking nsaids for muscle soreness? Does it interfere with recovery? Hi Brad! I would be careful with taking anything that helps mask pain as it can interfere with understanding what your body is going through. I am big on understanding the body and how it feels so you know how much to push yourself during workouts. Great info! I’ve always wondered if I should continue exercising even if I’m sore. I usually do but that’s because the soreness is nothing too severe. I guess if I does get to that point, I wouldn’t bother and let my muscles rest until they are able to get to work again. And maybe when I am sore after a workout, I should prepare properly for my other workout. Yes sometimes working out when a little sore can also help in the healing process. But if you can barely move, then it’s probably best to take a day of rest and get back in there when ready. Just continue to make sure you stretch and eat the right food. As a personal trainer myself, I’ve dealt with this question with a lot of my clients. Usually sore muscles tend to be a sign go your muscles still repairing itself from your last workout but on occasions i still workout muscles even if its sore. Some weeks it may hurt more than others especially leg days but for me i still stick to my routine split and even if its sore, i still go for it! Yea same here Lorenz. I learned that working out while still sore can also help with the healing process. as long as I can move, I go for it as well. Great article and I agree completely. People need to understand DOMs and not be afraid of it. Right on pointing out knowing how to spot real pain, especially in the joints, vs. good muscle soreness. Thanks Brian! I say Embrace the Pain! Good pain of course.